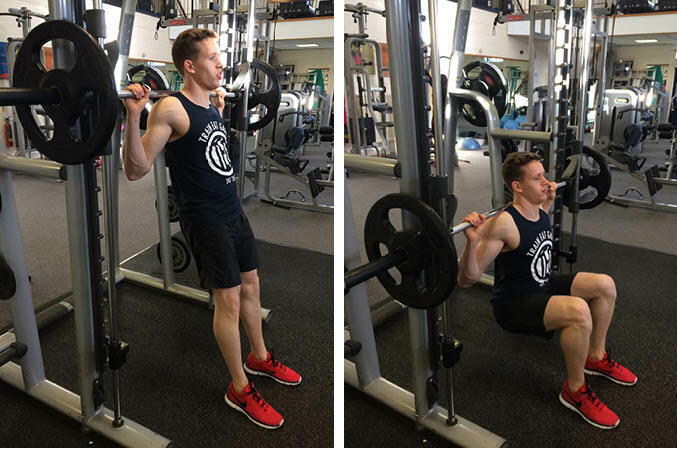 The Smith Machine Hack Squat is a lower body exercise that primarily targets the quadriceps, but also works the calves, glutes and hamstrings. This is a compound exercise which is well suited to beginner lifters. Unrack the bar in a smith machine and take a step forwards (approximately half a metre) and position your feet shoulder width apart. 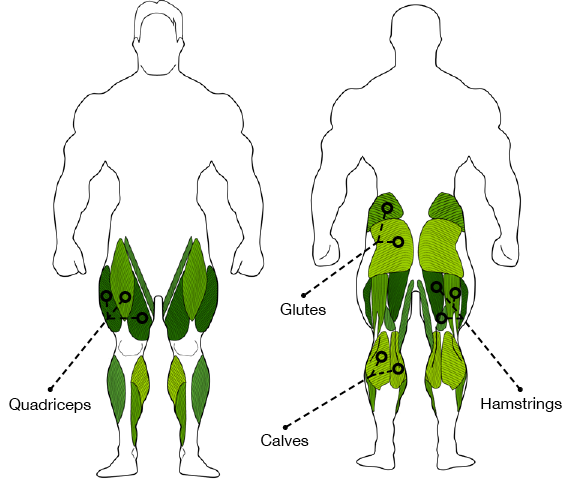 Squat down by bending your knees until your thighs are parallel with the ground, keeping your weight over your heels. Keep your core tight and make sure not to round your lower back, especially at the bottom of the squat. Push through your heels back up to a standing position, keeping your knees over your toes and abs contracted throughout.